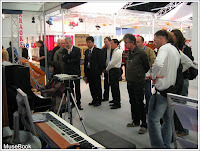 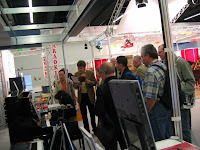 Thank you to everybody for visiting AMuseTec's booth at Musikmesse 2005 and shown interests in musebook products. 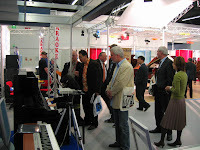 We are glad the show was successful and we had truly enjoyed every meeting with you there. 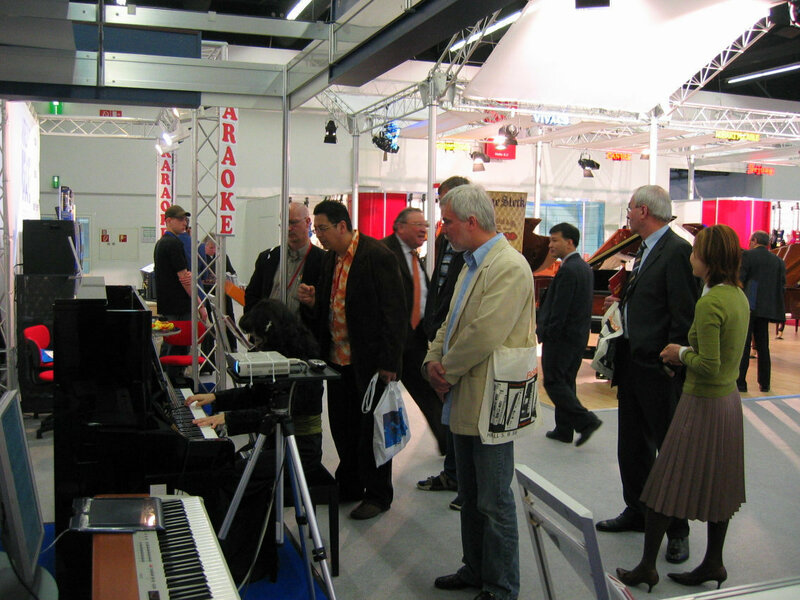 The 26th Musikmesse 2005, Frankfurt, Germany is the world's biggest international music trade fair gathering 92,720 trade visitors and members of the music-loving public from around 100 countries. 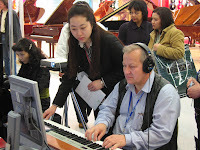 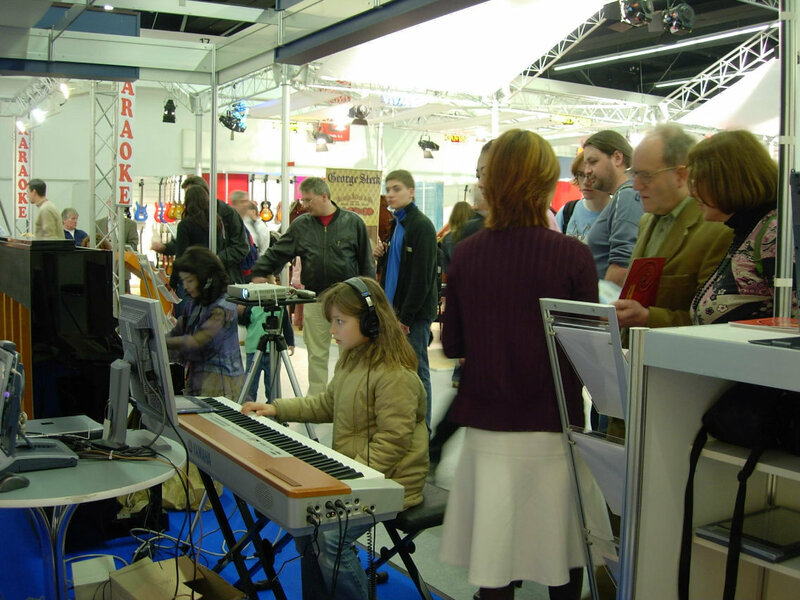 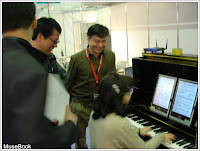 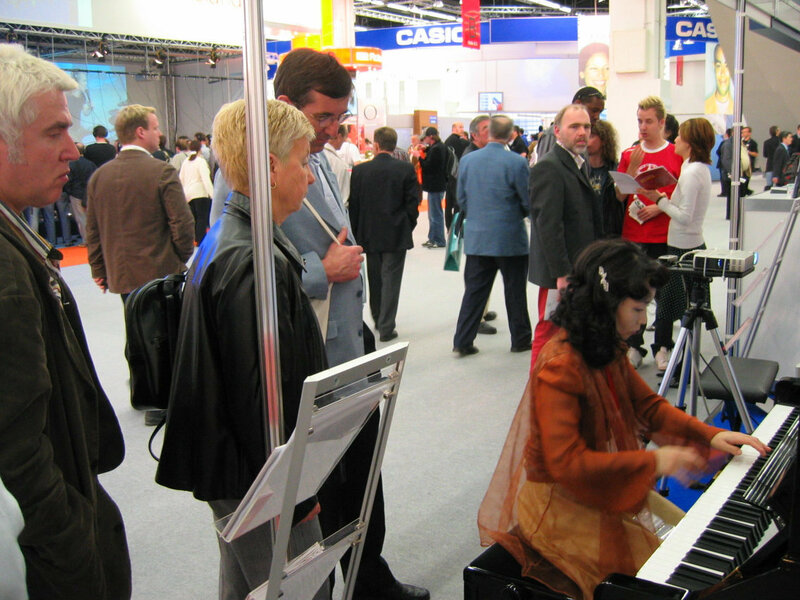 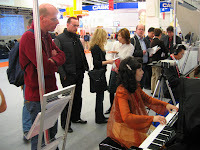 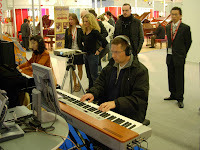 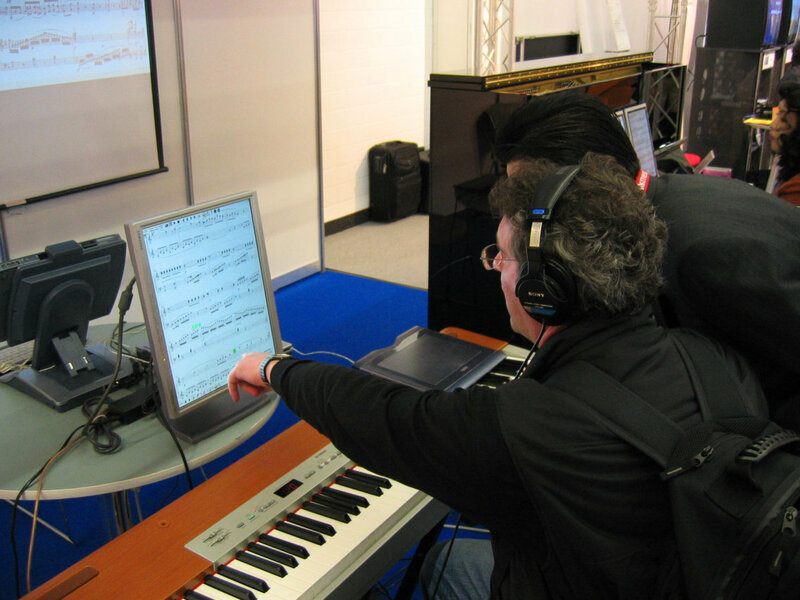 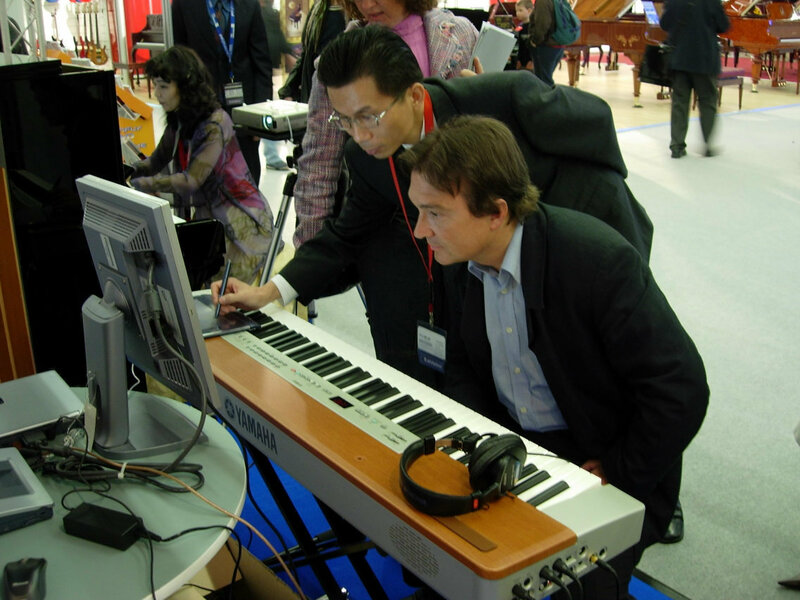 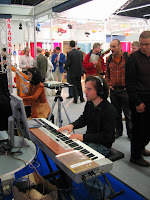 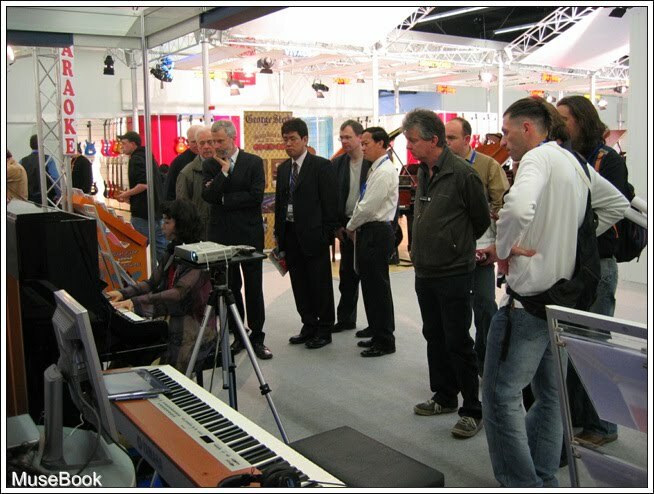 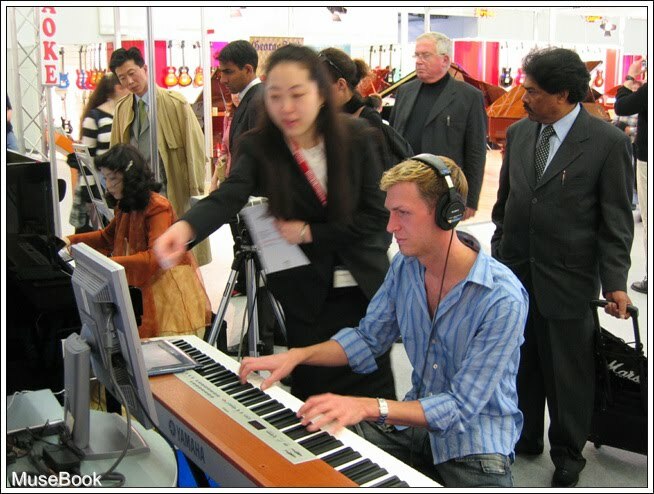 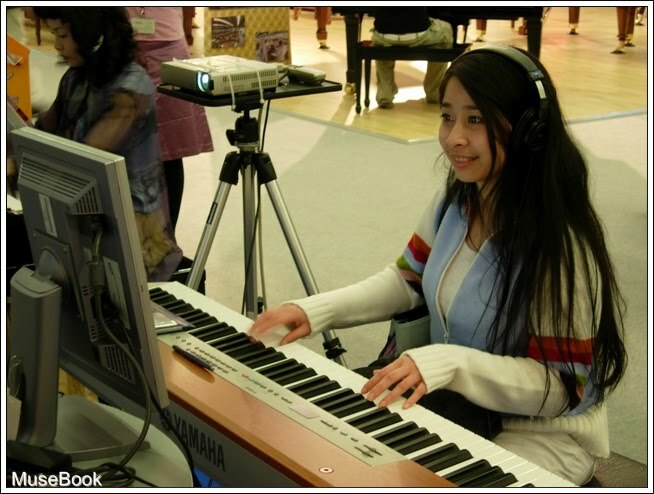 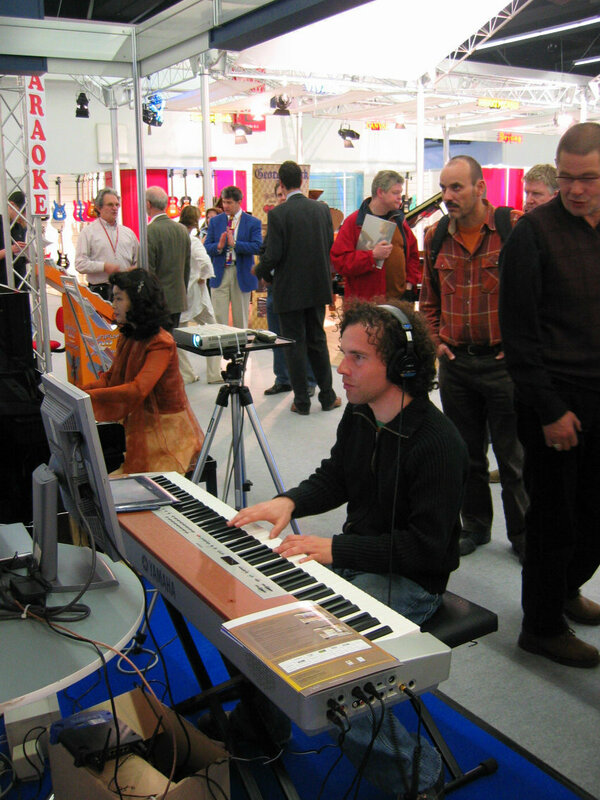 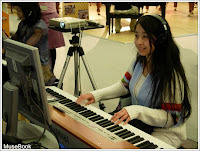 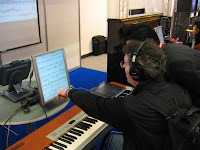 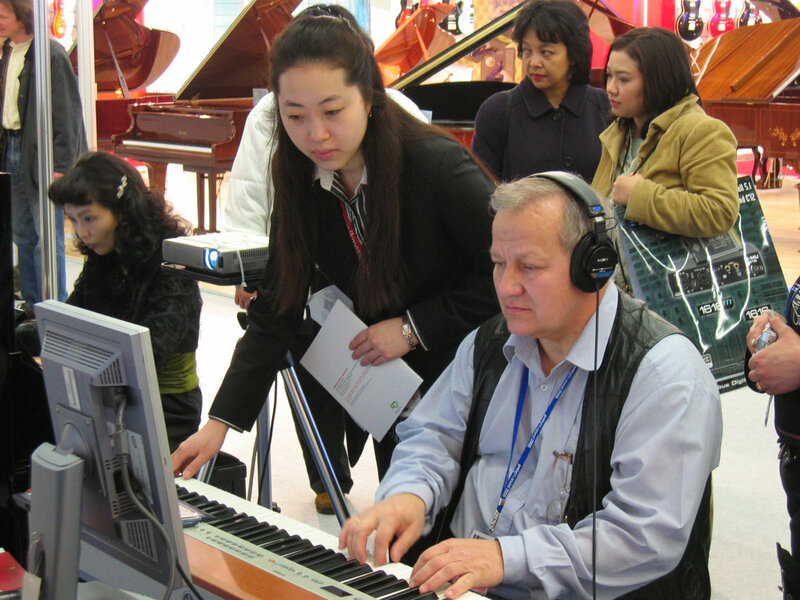 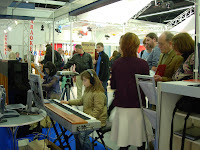 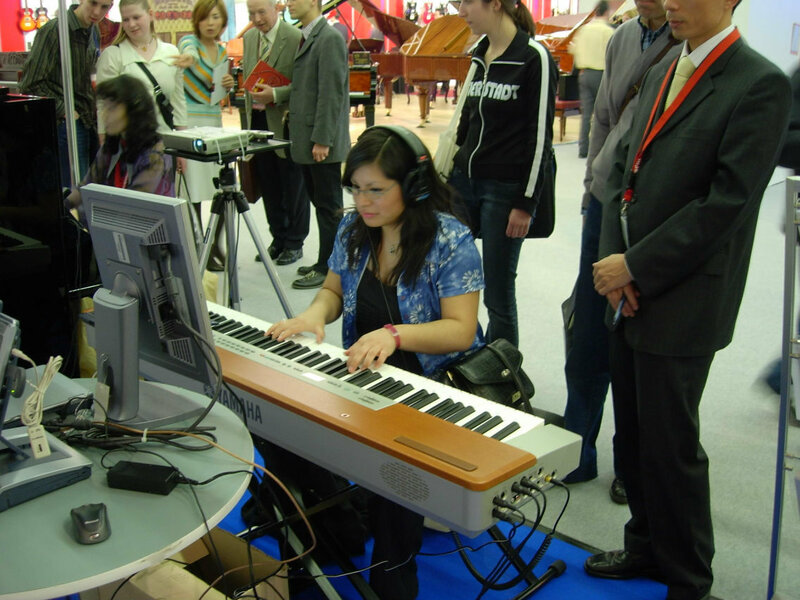 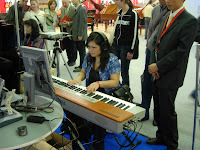 2,250 companies from 53 countries exhibited musical instruments, music software, computer hardware, sheet music and accessories. 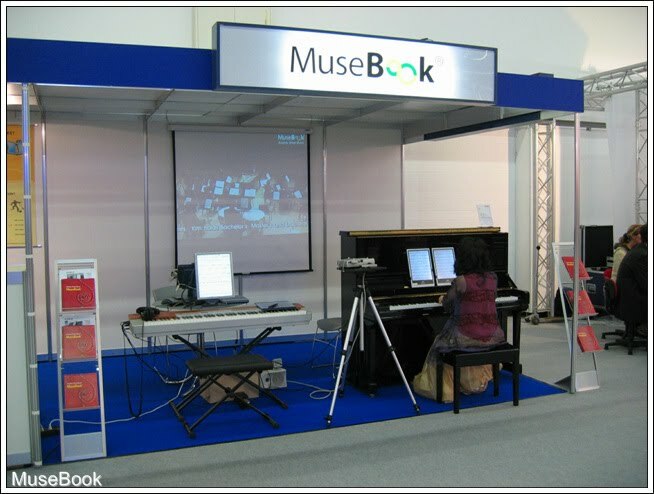 AMuseTec's new product, musebook concert series drew many attention for its broad usability, ease of use, and affordable price. 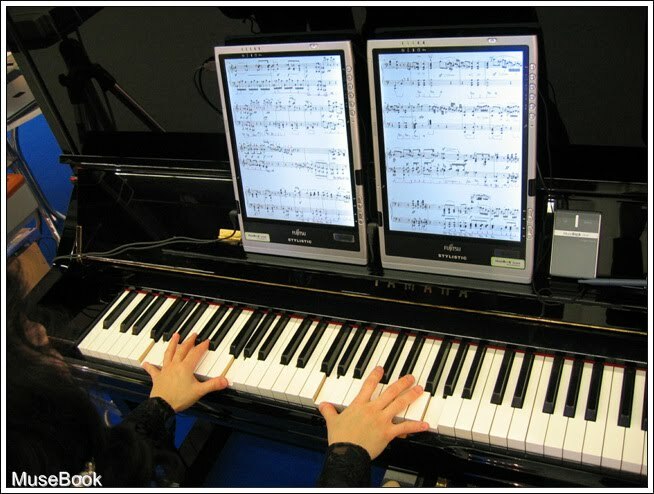 Not only does it allow you to store enormous amount of music in a portable PC, but also to turn pages easily and quickly using included finger-switch and wireless foot-pedal. 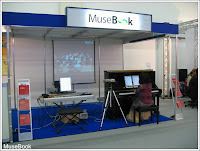 musebook concert series can be used with all instruments. 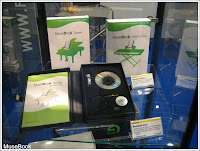 Official release is expected in May 2005. 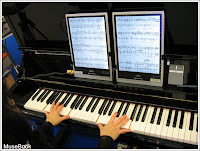 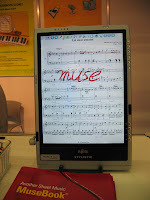 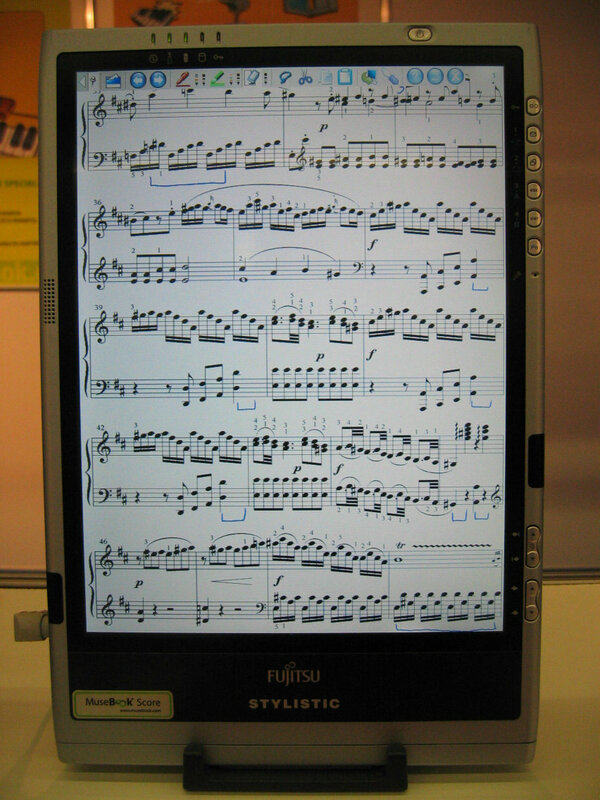 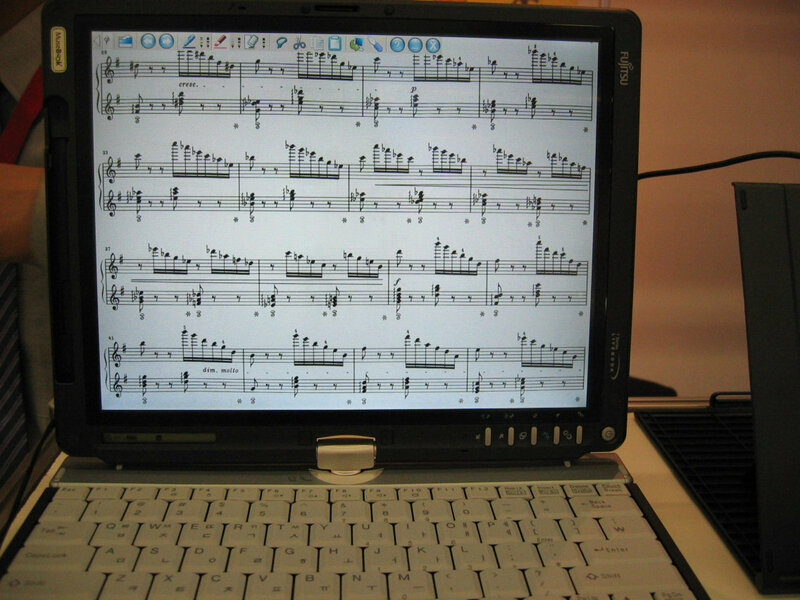 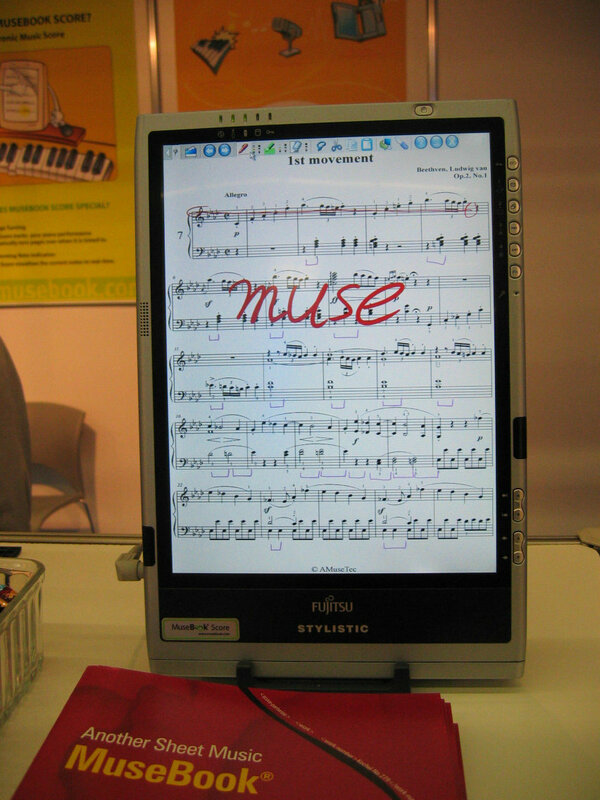 AMuseTec's musebook score series is also digital sheet music software, which listens to pianist's music and turns pages automatically. musebook score series follows the pianist's performance coloring the current notes simultaneously. 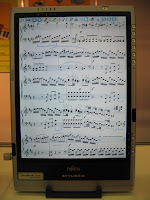 musebook score series can be used with either acoustic or digital piano. 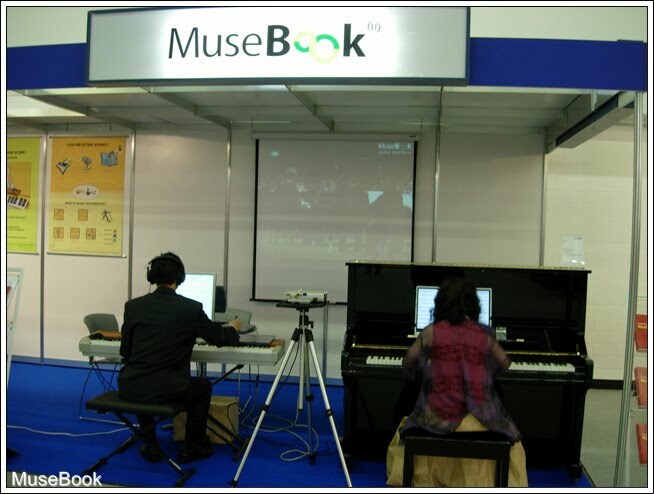 Both musebook concert series and musebook score series allow users to make annotations on the score page. 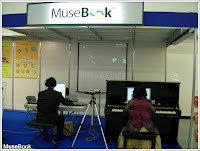 If you have any inquiry about musebookx digital sheet music, please contact us at musebook@musebook.com.